Yes, it’s true. 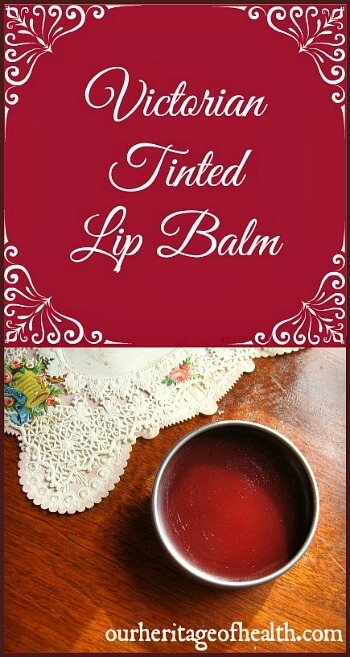 Women in Victorian America really did make their own homemade tinted lip balm. Even though makeup was usually frowned upon in Victorian society, enough women must have considered tinted lip balms to be acceptable for recipes for them to have been included in Godey’s Lady’s Book, the most popular lady’s magazine of the 19th century. 19 century lip balm recipes are usually very simple with about four or five ingredients at most unlike many modern lip balms with ingredient lists so long that they need teeny, tiny print to fit them all on the label. Old-fashioned lip balm recipes also use natural ingredients. You won’t find any rancid vegetable oils or parables or artificial fragrances like you usually do in most brands of lip balm today. And it’s really easy and quick to make your own. It only took me about ten minutes from start to finish to make my lip balm! * If you decide to use a tube for storing your lip balm rather than a tin, you might need to increase the amount of beeswax a bit to make sure that the balm is solid enough to be able to twist up in the tube. * I decided to add a few drops of peppermint oil because I love the scent of it. If you don’t like peppermint, though, you could either just omit the scent or try using another essential oil. And just like with real food and other natural ingredients, quality counts when it comes to essential oils too. 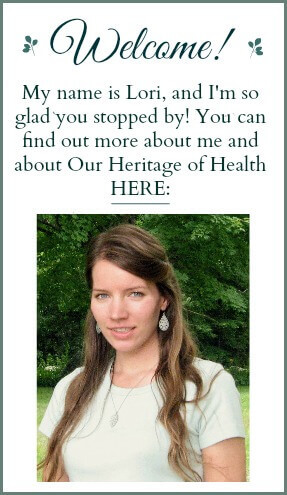 You can find the essential oils that I use and recommend here. * The tint is completely optional too. I like having a subtle tint in my lip balm, but if you prefer a plain balm with no color, you can just omit the alkanet root powder. (Alkanet root powder is a natural dye that gives a color similar to beetroot. Click here to learn more about alkanet root.) If you already have beetroot powder on hand, you could also try using that. Remove the tea bag with the alkanet root and add in your essential oil of choice. Stir to make sure that the essential oil is incorporated into the mixture. 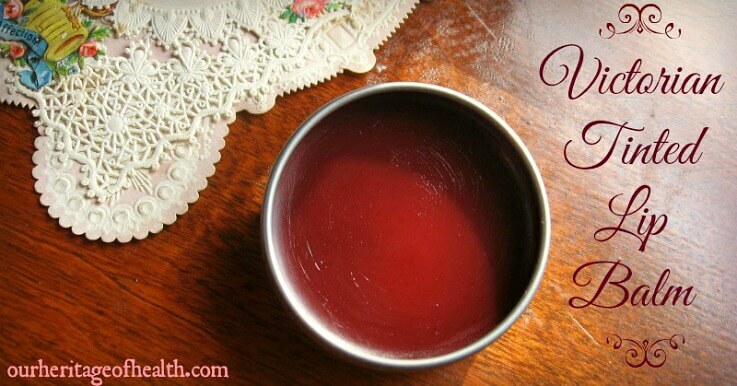 Pour your balm into your tin or tube, cover, and wait for it to harden. Enjoy your homemade, natural lip balm! It’s best to store this balm in a cool, dry place. If you accidentally leave it in the car on hot summer day, it could turn into a melty mess. This post is linked to: Sunday School at Butter Believer, Natural Living Monday at Natural Living Mamma, Clever Chicks Blog Hop at The Chicken Chick, Family Table Tuesday at The Polivka Family, Party Wave Wednesday at Holistic Squid, Frugal Days Sustainable Ways at Frugally Sustainable, Natural Living Link-Up at Jill’s Home Remedies, Fight Back Friday at Food Renegade. How awesome! I love learning about old recipes..I’m definitely pinning this recipe for a later use..